Both UFC and Boxing are all about personalities, Conor McGregor has such a presence in this area that he had to fight in both sports to satisfy his ego. Following his defeat in the boxing ring to Mayweather in 2017 ‘The Notorious’ has now had his pay off and is now back now where he belongs as a UFC fighter. The former Ultimate Fighting Championship featherweight and lightweight champions seeks to regain his titles lost through inactivity. It will be an uphill struggle however for the 30 year old following his defeat on his return to UFC by undefeated champion Khabib Nurmagomedov in Las Vegas at UFC 229 in 2018. Despite the fact he lost McGregor earned around $50 million from the fight, more than champion Khabib, with the bout drawing the largest TV audience since 2016 (McGregor vs Diaz). Therefore there is very little chance Conor will be retiring any time soon, with fan favourite Mr UFC already eyeing up a UFC fight in his home town of Dublin. This could possibly be a rematch against Khabib or a new bout against Nate Diaz. On this page you will find all the deals and offers you will need to add value to your bets for McGregory fights, further down you can find a full profile. Every sport has their standard bearers, from David Beckham and Steven Gerrard as footballers through to Mike Tyson and Muhammad Ali in the boxing world. It would be unfair to suggest that Mixed Martial Arts was unheard of before Conor Anthony McGregor came along, but it’s also true that there’s a reason he boasts the nickname ‘The Notorious’. Born in the Crumlin district of Dublin in the Republic of Ireland on the fourteenth of July 1988, Conor McGregor came to the fore in the Ultimate Fighting Championship at a time when the sport itself was starting to gain worldwide recognition. The son of Tony and Margaret McGregor, Conor was a talented sports personality at an early age. He played for Lourdes Celtic Football Club in his formative years and then joined Crumlin Boxing Club at the age of twelve. His move into the world of Mixed Martial Arts began in 2006 when he moved to Lucan in Dublin and met Tom Egan, with the pair then starting training in MMA together. He made his debut in the sport as an eighteen-year-old in an amateur fight against Kieran Campbell in a promotional fight put on by the Irish Ring of Truth, winning it via technical knockout in the first round. Having had a taste of success in the sport, McGregor immediately turned professional. In 2008 the Irishman started training under John Kavanagh at the Straight Blast Gym in Dublin, taking on his first professional fight in March of the same year. He went up against fellow lightweight Gary Morris and won the bout in the second round thanks to another technical knockout. He won his next fight and then moved up to featherweight but lost via submission to Artemij Sitenkov. Despite winning his next featherweight battle, McGregor considered giving up MMA altogether until his mother spoke to John Kavanagh and got the coach to convince him to keep going. Other fights came over the next couple of years, but it was during 2011 and 2012 that his MMA career really began to take off. McGregor won eight fights in a row, including the CWFC Featherweight and Lightweight championships. That made him the first professional MMA fighter in Europe to hold two titles in different divisions at the same time. His success resulted in many people wanting him to join the Ultimate Fighting Championship, which they let the president of the UFC, Dana White, know when he visited Dublin to receive an honorary patronage of Trinity College in 2013. 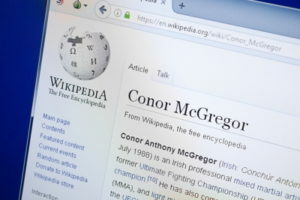 The Ultimate Fighting Championship announced that they had signed Conor McGregor to a multi-fight contract in February of 2013, making him just the second fighter from Ireland to compete in the competition; the first was his former training partner Tom Egan. He made his UFC debut in April of that year when he went up against Marcus Brimage and his first win came just a minute and seven seconds into the bout. His second fight should have been against Andy Ogle but ended up being with Max Holloway when Ogle pulled out with injury. The fight against Holloway went the distance, with McGregor winning thanks to a unanimous decision from the judges. Sadly, however, an MRI after the fight revealed that he’d torn his anterior cruciate ligament and would be out for around ten months. From then on, McGregor’s career continued on its upwards trajectory. He won his next two bouts via TKOs, both wins coming in the first round of the fights. He won his next fight and set up a featherweight championship match against José Aldo, only for Aldo to get a rib injury ahead of the fight and be replaced on the card by Chad Mendes for the interim featherweight championship. McGregor won it via TKO in the second round, earning him his fourth straight ‘Performance of the Night’ award. He eventually did fight Aldo, knocking him out in just thirteen seconds, the fastest ever finish in a UFC bout, making him the UFC Featherweight Champion. Having won fifteen times in a row, McGregor tasted UFC defeat for the first time in 2016 when he lost to Nate Diaz. Following his return to UFC in 2018 McGregor lost by submission in the 4th round to big rival, and current lightweight champion, Khabib Nurmagomedov in Las Vegas. The fight drew the biggest TV audience and largest prize fund since McGregor’s last bout in 2016. He may not be the champion or the recor holder any more but he is still seen as the biggest and most ‘Notorious’ fighter in the Ultimate Fighting Championship. Having headlined four of the six best-selling Pay-Per-View events in UFC history, it was no major surprise when Conor McGregor announced plans to fight Floyd Mayweather in a PPV boxing match in 2017. For many, the fight was little more than a money making exercise, given that Mayweather had retired from boxing and McGregor hadn’t taken part in the sport properly since he was a teenager. 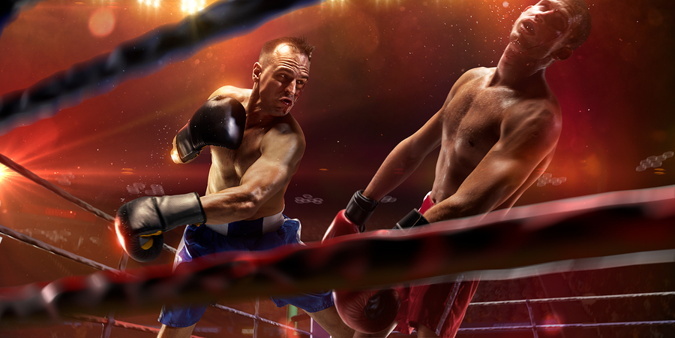 Nevertheless, more than four million people in North America paid to watch the fight and therefore saw Mayweather win it in the tenth round thanks to a technical knockout. 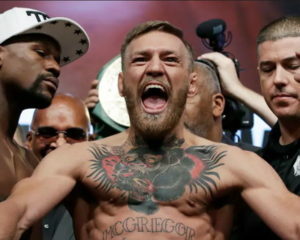 Though the judges scored the fight overwhelmingly in favour of Mayweather, giving scores of 89–81, 89–82, and 87–83, McGregor earned some praise for being able to land 111 of his 430 punches, which was more than Manny Pacquiao managed when he’d gone up against Mayweather in the ‘fight of the century’. After the fight the Nevada State Athletic Commission announced that the live gate was more than $55 million, added to the aforementioned PPV sales in North America and more than £20 million grossed in UK Pay-Per-View Sales. Conor McGregor is not without his controversial moments. At Bellator 187, for example, he pushed and confronted the referee of the match featuring his friend and SBG Ireland teammate Charlie Ward. 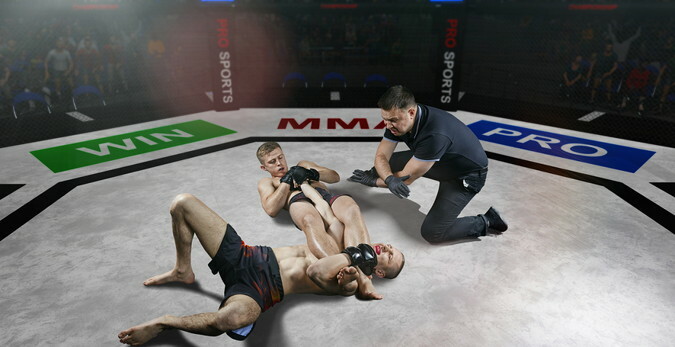 The referee had been trying to find out whether Ward’s opponent, John Redmond, had been knocked out before the bell when McGregor jumped over the cage. He then pushed Redmond over has he had tried to get back up and the Mohegan Sun commission later confirmed that they had intended to allow the fight to continue but chose to abandon it because of McGregor’s behaviour. On the 5th April 2018, two days after Khabib Nurmagomedov had cornered a friend of McGregor’s named Artem Lobov, the Irishman confronted Nurmagomedov as he attempted to get onto a bus with other UFC fighters. McGregor threw a metal equipment dolly at it, shattering the glass and causing injury to UFC fighters Ray Borg and Michael Chiesa. An arrest warrant was issued for McGregor and Chiesa later announced a lawsuit against him for ‘suffering and loss of enjoyment of life’. A brawl then broke out following McGregor’s defeat on his return to the sport at UFC 229 in Las Vegas in 2018 where he fought Khabib Nurmagomedov. To be fair it was Khabib that caused most of the melee jumping out of the octagon to face off with Dillon Danis, McGregror’s team mate. Never one to be out of the lime light though Conor also decided to start fighting with Kabib’s team, despite having just gone through 4 rounds ended through submission.